Packing salads was a feat. Well, I had the opportunity to test out the GLAD to Go Lunch containers and they are pretty neat. They make packing salads for work no longer messy. Now, I have plenty of tupperware and I do prefer glass but, my Hubby doesn’t. So, when we do buy containers, we make sure that they are BPA-free and durable so that we can reuse them time and time again. BPA-free, Phthalates-free and sturdy to be used over and over again. I try to make all of our lunches litter-free in my efforts to live a greener life, though plastic isn’t a sustainable material it can be reused and then recycled. 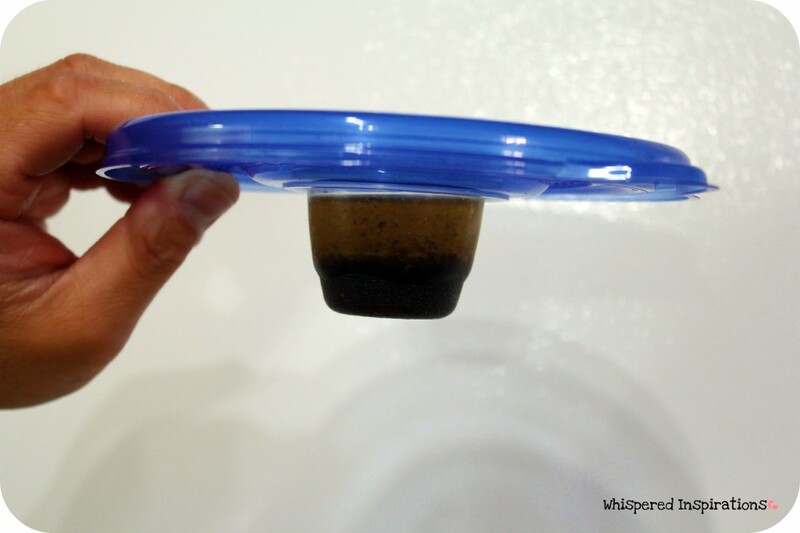 Make sure that you thoroughly wash the containers upon purchase and you are good to go! Want to see GLAD to GO Lunch in action? 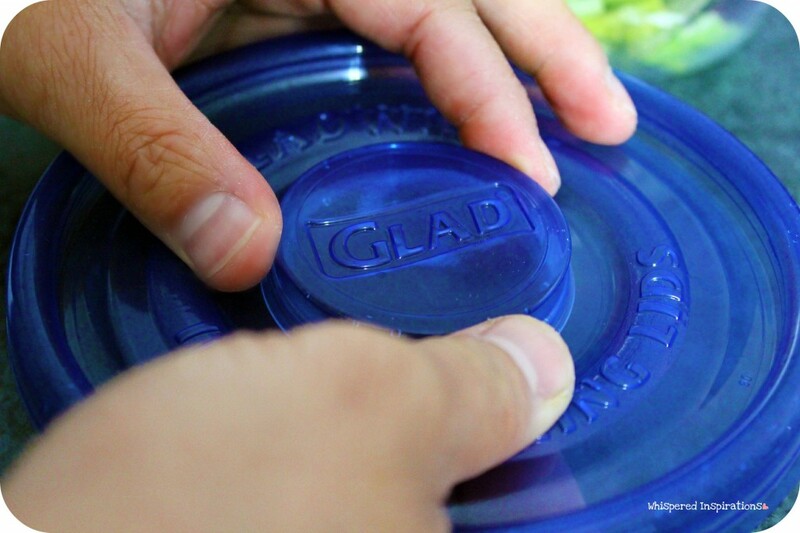 Pick out your veggies, pick your desired lettuce, top it off and toss it into the GLAD to Go container! Choose your dressing, Hubby chose Balsamic Vinaigrette for his salad, any dressing will do! Even lemon juice or vinegar. Pour it into your GLAD salad dressing cup and fill it up. Leave a little bit of breathing room so that it doesn’t spill when you open it up. 3. Put a Lid on It! 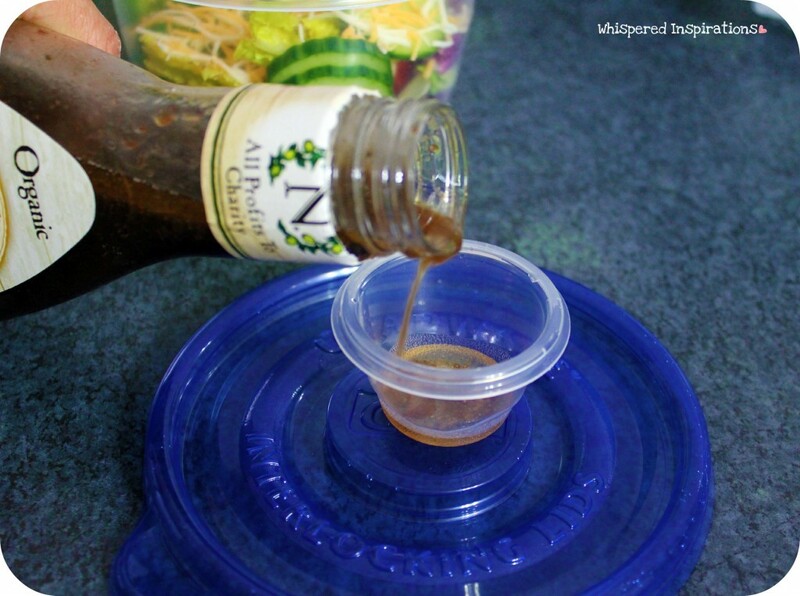 Take the lid and line it up with the salad dressing cup, press down and make sure it is taut. The cup of dressing is going nowhere! 5. Your Lunch is GLAD to Go! Now your lunch is ready to go. 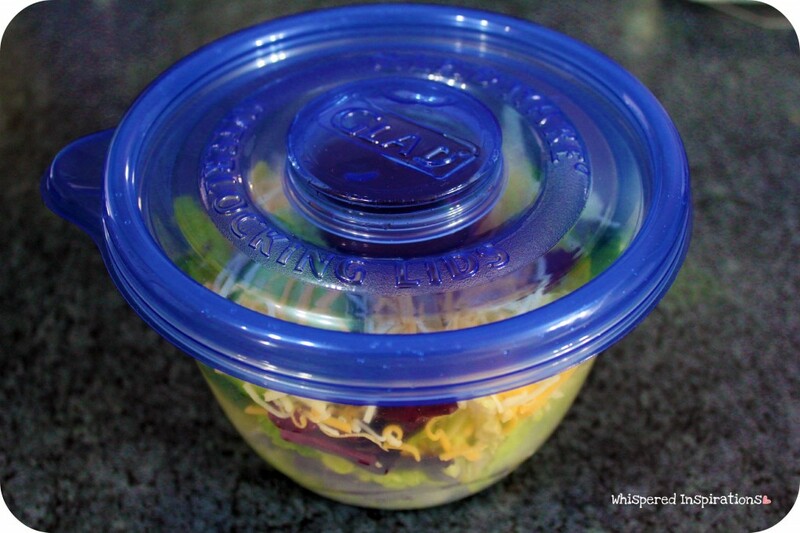 Make sure the lid is nice and tight before you put it in your lunch bag. GLAD also sent along 2 reusable and thermal lunch bags. Put it in your favorite reusable lunch bag and ENJOY! 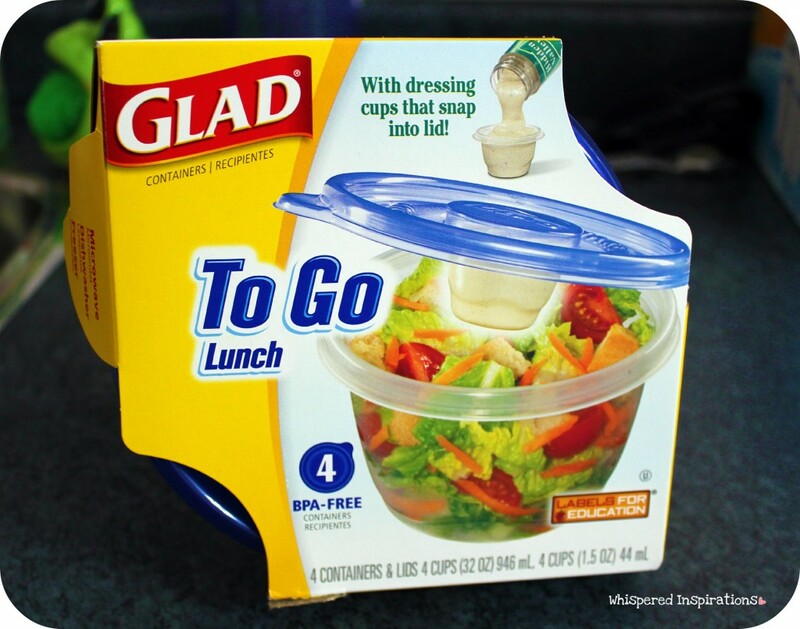 What did we think about GLAD to go containers? Hubby packed his salads with the containers all week and happy to report that they effective and leak-proof. He enjoyed the fact that you can pack a nice sized salad. He said he had a bit of trouble taking the lid off of the salad dressing cup but, with care was able to remove it with any spills. It also didn’t spill into the salad which is a plus. Leaving the salad nice and crispy when it was time to eat! I packed a whole cucumber and put fresh squeezed lemon juice in the dressing cup. This is great because I really hated packing it all together because they would get mushy come break time at work. I would definitely recommend these if you love your tupperware. I tend to run my tupperware til it’s last breath so, I’ll be using these for a long time. Also, you can recycle these wherever they recycle yogurt cups. 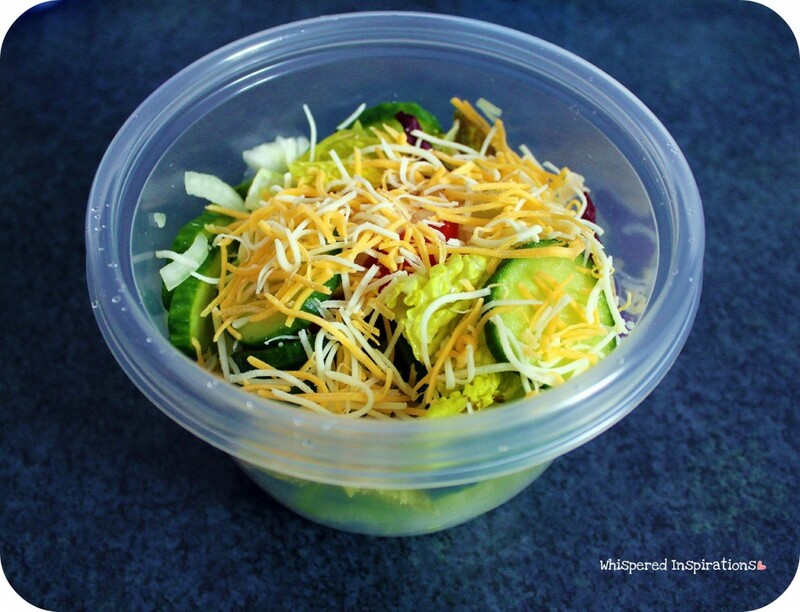 How do you pack your salad to go? Let me know, till then–cheers m’deres! Previous Post: « Kelloggs: New is a Good Thing! These have turned into daily usage containers! We love them! I like them for snacks too! So glad (pun intended) I learned about them. I thought I had zero interest in these, but DD4 has lately become obsessed with veggies and dip. These would be perfect. Thanks for the great review. I don't take a salad anywhere but if I did, this would be perfect, great idea! I love our Glad to Go containers as well. Great pics here. They are brilliant, aren't they!! Nancy these are so awesome! I showed my hubby as he loves to take salads to work, but it becomes a bit of a hassle. Sweet! These are the best for lunches with a sauce!